In Victorian fiction, the urban world is perhaps best described in Charles Dickens’ timeless classics. 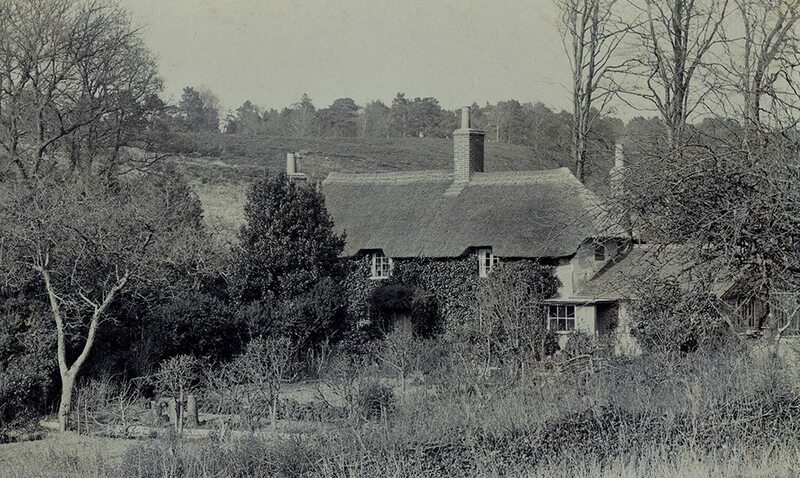 But the ups and downs of country living, had no better advocate than Thomas Hardy. His works are probably unique, in having some of his characters engaged in activities associated with the craft of thatching. The author having already provided us with some very useful information, in the Materials and Tools section. 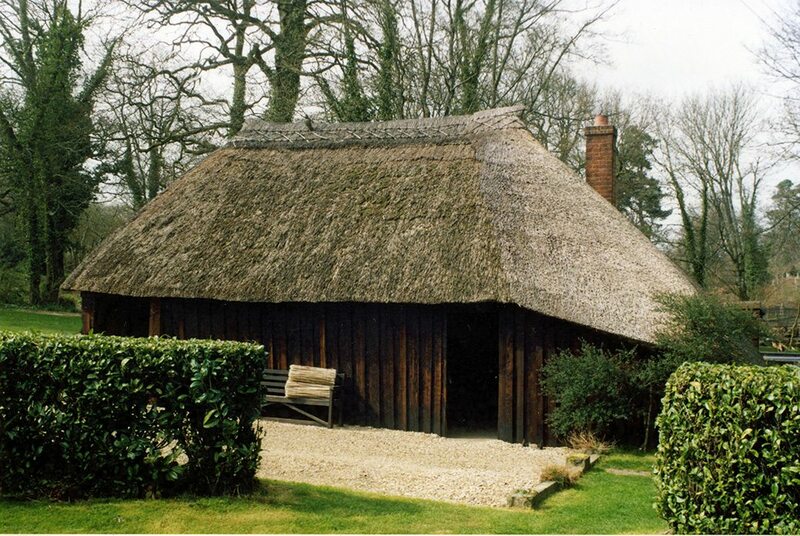 Making thatching spars; with the help of Marty South, from The Woodlanders, features in ‘Fixing multilayered Roofs‘. 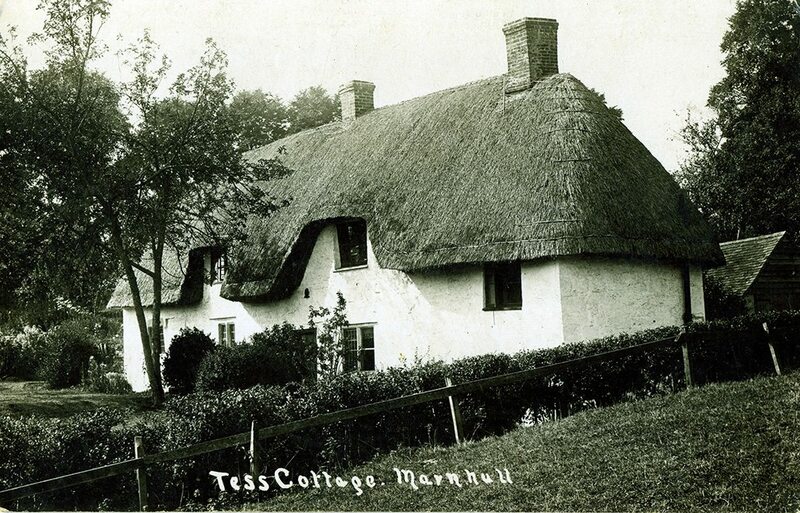 And his other, more famous heroine, Tess has shown us the art of binding sheaves in the harvest field and drawing thatch, in a mid winter barn. Found in’ Harvesting Cereal Thatch’ & ‘Combed Wheat Reed’… The author also had Gabriel Oak, thatching ricks all night long, in Far From The Madding Crowd. A little artistic licence was used here no doubt, but it is technically accurate. All these activities were more than familiar to Hardy; living in the heart of what is still, a very rural county. On the heath.. The most famous building is his birthplace at Lower Bockhampton. This was built by Hardy’s great grandfather, in around 1800. The Hardys were a family of builders. The author arrived, in the middle bedroom, in the summer of 1840. This image was taken by the local Dorchester photographer William Pouncy, who knew Hardy well. Taken when Hardy still had decades to live. The roof shown here is a neat combed wheat reed thatch. With repairs on the gable end. Very similar to the roof provided by the National Trust today. The open heathland shown here is gradually being restored, after years of being buried under conifer plantations. By the church… At Puddletown, near his birthplace. This was immortalised as ‘Weatherby’ in ‘Far From The Madding Crowd’; published in 1874. The work that really established Hardy, as an author. 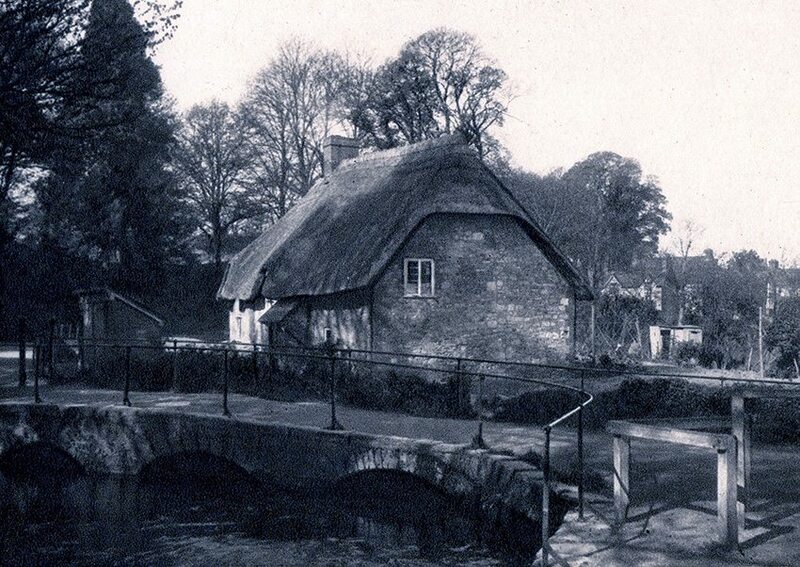 His aunt’s thatched cottage is long gone, but more remain, that he would have known. Many near the church. Here he had both ‘Sergeant Troy’ and ‘Fanny Robin’ find a last resting place. In Dorchester… A much darker story is contained in one of his ‘Wessex Tales’. 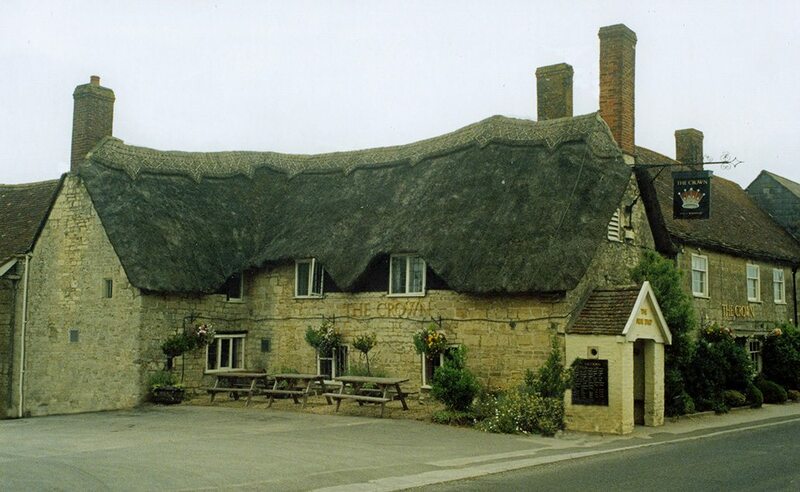 Where in ‘The Withered Arm’ a meeting is arranged at Hangman’s Cottage. Abode of the ‘Casterbridge’ executioner. 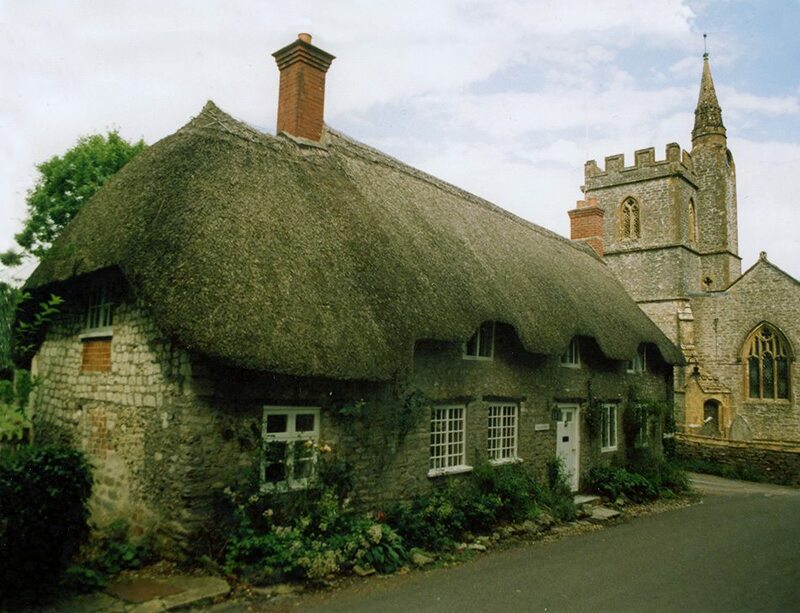 Here Hardy also had ‘Michael Henchard’ pass by one dark night; while he was still ‘The Mayor of Casterbridge’. 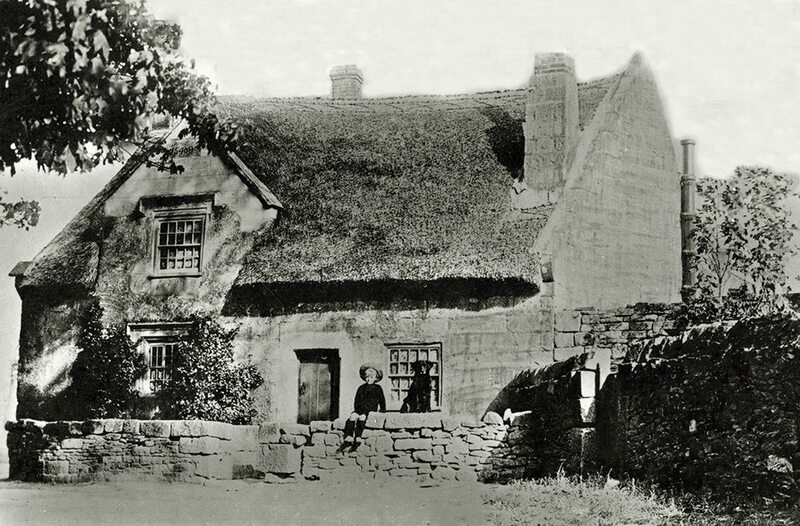 This cottage still exists, the former home of Dorchester’s hangman. Hardy saw a previous occupant, publicly at work; an experience that affected him greatly. The cottage is thought to date from the early medieval period. Down south…This old cottage, now a museum, is situated as far south as Dorset goes; on the Isle of Portland, or ‘The Isle of Slingers’, in Hardy’s later work, ‘The Well-beloved’. This cottage acting as the home of the hero’s lost loves, the decendants of ‘Avice Caro’. 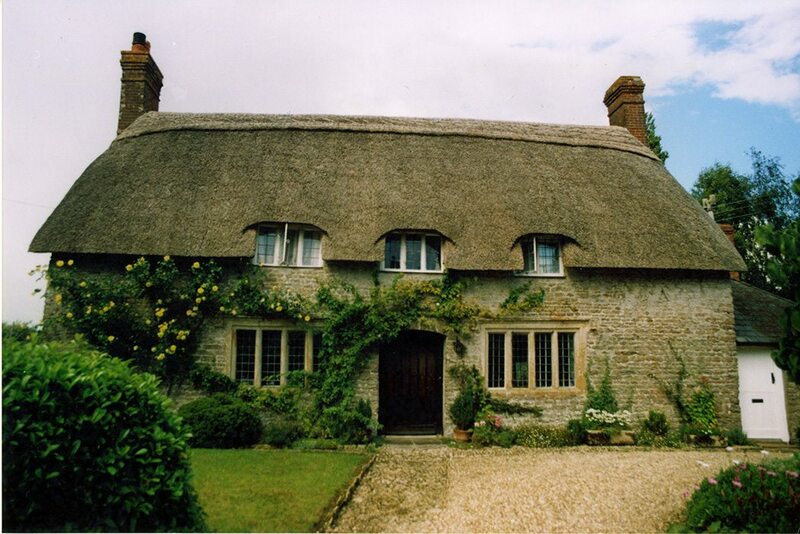 The Edwardian thatch shown here, is of water reed. As in other southern maritime counties, local reed beds were exploited. Neighbouring Weymouth still has reed beds at Radipole. In years past a shilling, paid to the town clerk, allowed for a day’s cutting. At the other end of Chesil Beach, lie extensive reed beds at Abbotsbury. In production since at least the middle ages. The Pure Drop…Still open for business. Miles away… At Evershot or ‘Evershead’, a less well known ‘Tess Cottage’ stands. Here the heroine broke her journey, walking to ‘Angel Clare’s’ home. 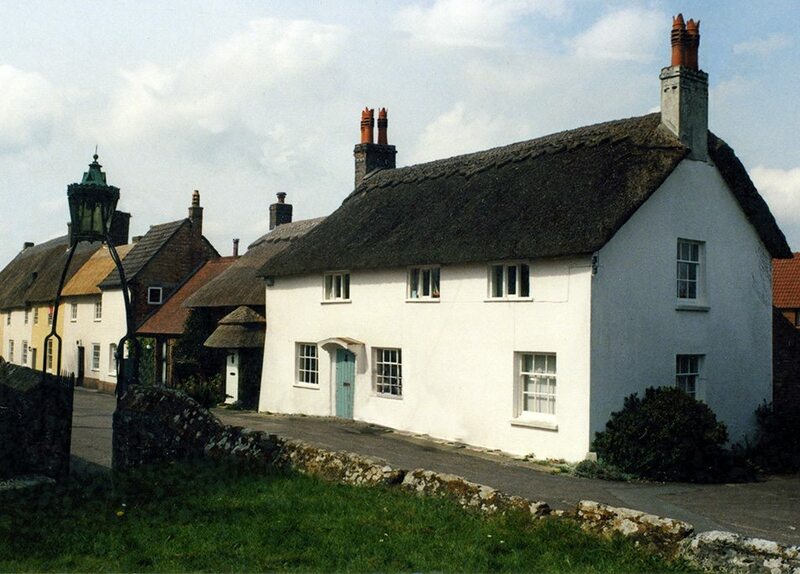 Hard by the church, this thatch consists of local water reeds, from Abbotsbury. Our man would have seen a roof of combed wheat reed.